Before one can dive in the complex world of compost, there must be an understanding of what compost truly is. 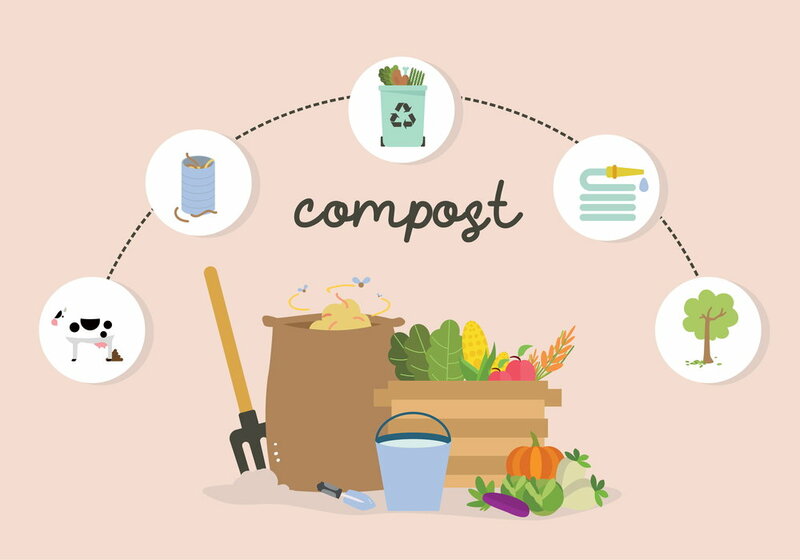 Compost can be defined as a decomposed organic matter. The awesome thing about compost is that it is completely easy and affordable to do. The biggest posed question is; What goes into compost? Compost is made up of two things. Brown carbon enriched matter and green nitrogen enriched matter. According to thespruce, the best ration of browns to greens is 3:1. Brown matter includes things such as; fallen leaves, dried up grass, wood products such as mulch, bread waste etc. Avoid any meat in your compost pile. Green matter includes things such as fruit and vegetable kitchen scraps, lawn clippings, weeds and things such as that. Though the ratio can be flexible and doesn't necessarily have to be precise, you must be cautious on the number of browns or greens you add. For example, your compost pile will have a very hard time completely breaking down if there is too much tough brown matter but, your compost will give off awful odors and possibly just turn into a pile of moldy vegetables if there is too much green matter. It is ideal for every other day or so, go out to your compost pile and turn it. Just make sure, it is thoroughly mixed to prevent smells. Remember, bugs are welcomed! if you see worms, leave them be. Insects like worms will help turn your compost. If you find maggots in your compost, go back and make sure no meat is thrown into your pile. The best thing about compost is that it is very manageable. Some gardeners like to designate a spot in their garden to begin dumping and just let the pile grow. From personal experience, this can be challenging. Especially if you are a first timer. The biggest issue is, there will be some evenings where you look outside and see raccoons and possums digging in your pile. Sometimes, you'll check out your pile in the morning and see the plants of your greens growing! one time, my family had squash and potato plants growing in our compost. A more controlled method is to either purchase a compost bin (see links below!) or make one yourself. Homemade ones work perfectly fine, they can either be wooden, chicken wire, milk crates, etc, so, instead of throwing those old milk crates away, try making your very own a compost bin. Once you find your space, composting will be a very fun and educational experience! Green with Indy is a wonderful compost pick up service. Green with Indy picks up compost from commercial businesses and residential areas. This is a wonderful program for those who are first time composting and need a bit of assistance. As a partner with Green with Indy, we are contributing to making Indy greener and more sustainable. You can do it too! Interested? Here are a few further readings! Which Items are "Greens" and Which items are "Browns"?